Having issues while using the plugin on Photoshop 2019? Here's how to fix it! Don't worry! Just reinstall the plugin and restart Photoshop. Adobe Updater doesn't move plugin files automatically, so reinstalling the plugin should put its files in the directory of the newest version of Photoshop. 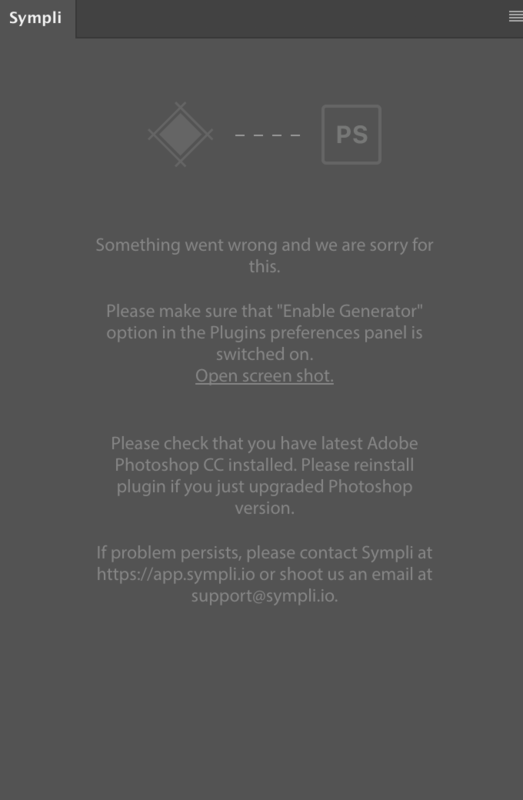 If there's nothing to copy in the Generator folder or after trying the above you're still unable to use the plugin, contact us via the chat bubble at the bottom right corner or shoot us an email to support@sympli.io.